RAV4 Hybrid represents the long-sought-after, never-before-realized integration of two highly desirable vehicle attributes: surprisingly good fuel economy, and the enhanced traction under difficult road conditions that’s made possible by available all-wheel drive (AWD). AWD provides maximal forward traction during acceleration, but most SUVs trade fuel economy to achieve this level of enhanced grip. RAV4 Hybrid turns that equation on its head, with an EPA-estimated 34 mpg city. With RAV4 Hybrid, you can have it all: Toyota’s proven hybrid powertrain, for enhanced fuel economy and environmentally-friendly efficiency, and available Electronic On-Demand All Wheel Drive with intelligence (AWD-i), for added confidence on or off-road, regardless of changing road conditions. It’s little wonder that SUVs are among America’s favorite vehicles. Not to mention that sales are quickly gaining traction around the world. RAV4 Hybrid is the crossover SUV that integrates attractive attributes such as generous space for four passengers and their cargo, a commanding, elevated vantage point for drivers, and Toyota Safety Sense™ (TSS-P); a suite of advanced active safety packages anchored by automated pre-collision warning and braking. Toyota believes crash protection begins with crash prevention, so these cutting-edge safety features harness the capabilities of lasers, radar, in-vehicle cameras and other technologies to detect lane lines, other vehicles—and even pedestrians—and help you avoid situations that could result in collisions. There’s nothing more exciting or empowering than buying a new vehicle. But many drivers do not realize there’s considerably more to owning and operating a vehicle than paying the initial price. Cost of ownership is an estimate that accounts for variables such as fuel costs, insurance, state fees, financing, vehicle depreciation, repair and maintenance, and other “hidden” costs. To get a better sense of the true cost of owning—and actually using—your new car, it’s helpful to look down the road at least five years. According to an independent assessment, RAV4 Hybrid XLE, for example, comes out ahead of its two closest competitors in terms of actual cost per mile over five years. RAV4 Hybrid not only gives you the best of both worlds, it also does so more affordably than other options. 2017 Toyota RAV4 Hybrid comes in three models. All feature electronic AWD-i and EPA-estimated 34 mpg city. 2017 RAV4 XLE: $29,030 MSRP. 2017 RAV SE: $32,185 MSRP. 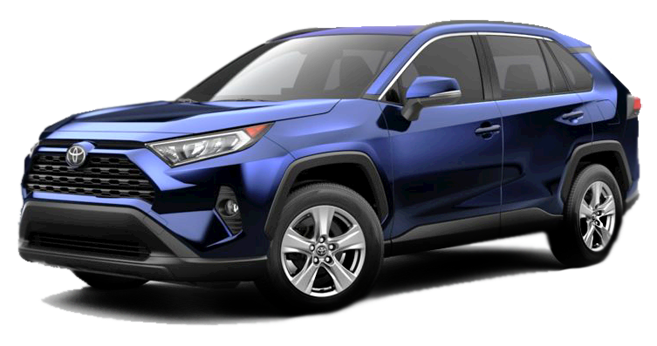 2017 RAV4 Limited: $34,030 MSRP.